Item # 317166 Stash Points: 9,995 (?) This is the number of points you get in The Zumiez Stash for purchasing this item. Stash points are redeemable for exclusive rewards only available to Zumiez Stash members. To redeem your points check out the rewards catalog on thestash.zumiez.com. Get a vert set up that's all built and ready to go with the Arbor Whiskey Palm Bottle Artist Collaboration 8.5" Skateboard Complete. Highlighted by Paris brand trucks for unmatched stability on hill bombs and the heaviest of vert lines, you'll feel like you can tackle any feature you lay eyes on. 56mm 92a Arbor wheels provide excellent top end and carrying speed while also offering controllable grip with buttery power slides. Abec 5 Arbor brand bearings ensure blistering top end speed and excellent acceleration, while the overall moderate concave profile maintains your flip tricks even with its larger size. Finished with short, wide and steep kick tails, you'll have quick and beefy pop as well as stable stalls and slides to take your riding up a notch. 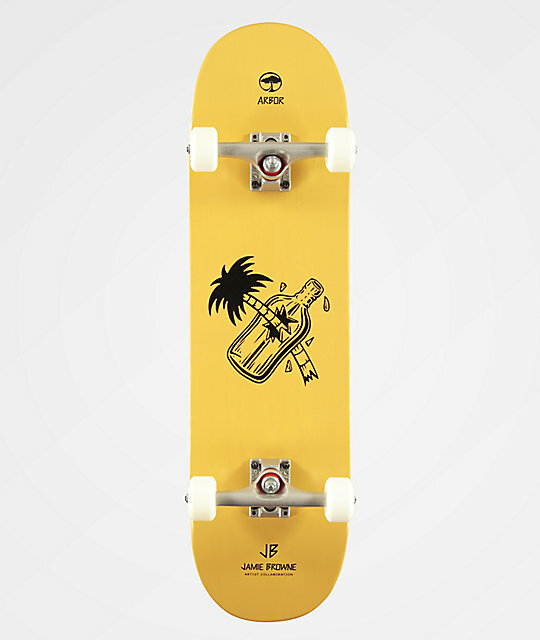 Whiskey Palm Bottle Artist Collaboration 8.5" Skateboard Complete from Arbor. Signature art by Jamie Browne. Classic popsicle shape deck with wide kick tails and a more aggressive tail than nose. Resin-7 hard rock maple construction. 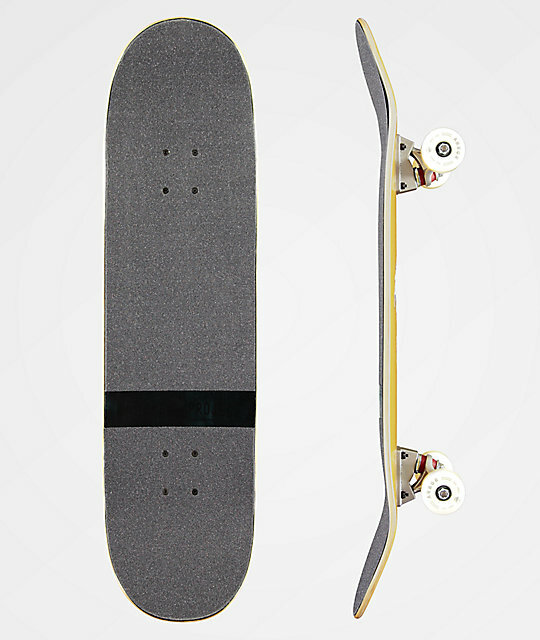 Black grip tape applied to the deck. Comes completely pre-assembled and ready to shred right out of the box. Graphics and stains may vary slightly from the image.